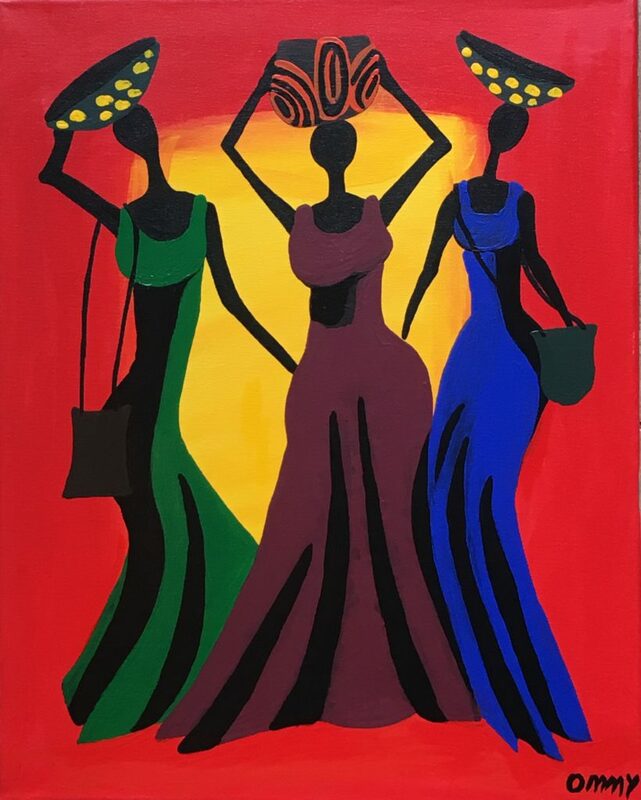 Born in Dar Es Salaam Tanzania, East Africa, Omari Mdimi (Ommy) was introduced to art while attending Secondary School in Bagamoyo on the shores of the Indian Ocean. While there he met many local artists and other young men like himself who wanted to learn a trade upon finishing Secondary School. 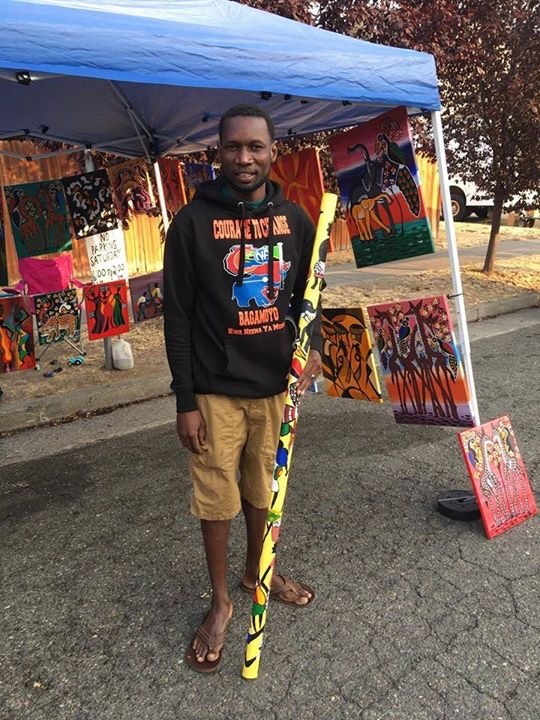 He was introduced to Bagamoyo Sculpture School and was accepted to learn the crafts of painting, drawing, wood sculpting, casting, music and English. The school was started by an NGO to give young artists a chance to learn artistic skills. It was free for those willing to study and provide their own room and board. Ommy was a student at Sculpture School for three years where he developed his unique abstract painting style. His use of vibrant, bold colors along with sometimes bizarre characters leaves you wondering where they come from. 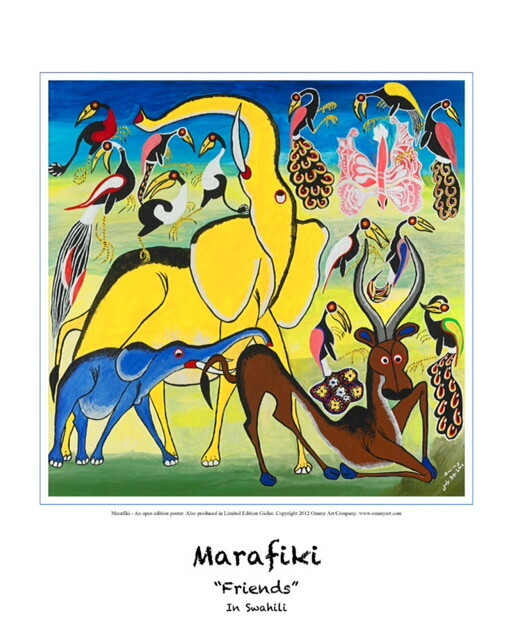 His paintings bring to life the stories, beliefs and folklore of Tanzania. Their central themes include friendship, the oneness of all living things, and the natural balance in the universe. He met his wife in 2008 in Bagamoyo Tanzania. Ommy moved to California in 2011 and eventually to Ashland OR in 2017 with his family. He continues to inspire people with his artwork and loves creating beautiful pieces. His artwork is whimsical and wonderful for children’s rooms or to brighten any room. We hope that one of his pieces will bring some light and happy feelings to any space in your home.